Student: How does devotion to the guru help in one's practice? KTGR: Within the specific context of Vajrayana practice, the natural state, the wisdom that is coemergent and constitutes genuine reality, will only become accessible through gathering the accumulation of merit and purifying obscurations. It can only succeed through the blessing of a guru who has the realization. To try to get realization in some other way would be folly; instead, you would get an increase of your own confusion. In practicing the Vajrayana in general and the Mahamudra and Dzokchen in particular, one first supplicates the guru. When the power of one's faith and devotion have given rise to a nonconceptual state, one looks straight into the essence of that pristinely pure great completion transcending mental operations, and rests naturally relaxed within it. This is referred to as "awareness recognizing its own face." This makes it possible for awareness to self-liberate and rest in itself. 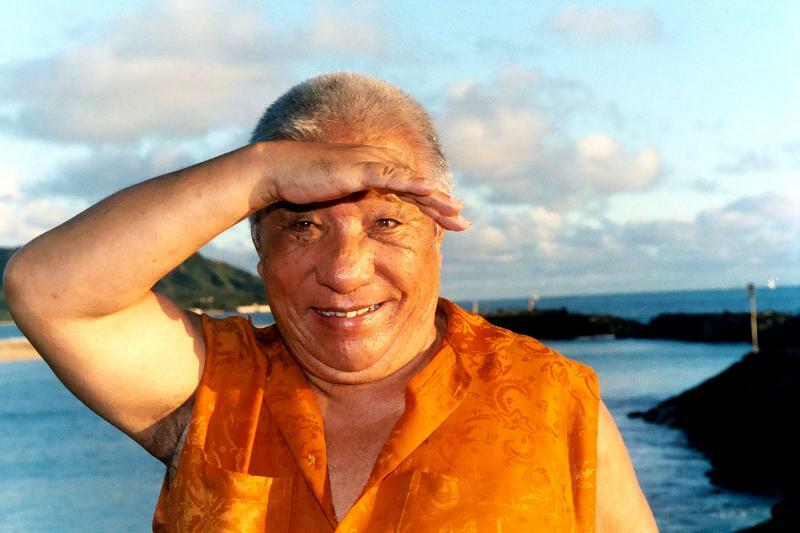 Khenpo Tsultrim Gyamtso Rinpoche, The Complete Liberation of the Three Realms, Karme Choling 1998, p. 154. Translated by Jim Scott (lightly edited for the weekly quote).